Perfect for boosting your metabolism, recovering from exercise, or curbing cravings, day or night. Award-winning flavors. Nothing artificial. Grass-fed, certified hormone- and antibiotic-free. Celebrating 2 million containers sold! NOT THE CHEAPEST, JUST THE BEST! It's truly FREE. No monthly subscription. No future charges. For today's flash sale, receive a FREE, 150-gram container of BioTrust Grass-Fed Protein Powder, FREE Health and Fitness Coaching, and a FREE copy of our shake recipe cookbook. That's $100 in value for just pay $4.95 shipping. "They sent me the protein. It's legit. Nice to find an honest company for a change." "Best-tasting protein with the best ingredients, and I've tried them all!" "Unlike most, this protein is super-easy on my stomach." "I love that it's natural with no hormones and nothing artificial." "I've lost 31 pounds replacing junk food with BioTrust protein!" "I take it post-workout, and I'm seeing great results in the mirror." "Your protein is my dessert at the end of the day."  If you don't agree BioTrust is the BEST, we will refund you promptly. When you order, we feed a hungry child for a day through NoKidHungry.org. Good job! 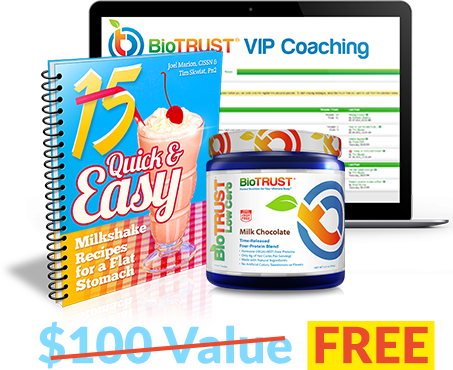 For just $4.95 shipping (U.S. only), we'll rush everything out to you right away–your FREE container of BioTrust Low Carb, FREE fat-burning milkshake recipe book, and FREE coaching and discounts! Nothing more will be shipped or charged. No strings attached. It's truly FREE (no autoship, no future charges - nothing). Pretty incredible, as this is valuable, premium product made only with natural ingredients (with over two million units sold to date) and the most delicious, award-winning taste of any protein powder on the planet. 24 grams of pasture-raised, grass-fed protein per serving. Made with certified hormone- and antibiotic-free proteins from happy, healthy cows. Nothing artificial. No fillers, fake colors, flavors, preservatives, or sweeteners… at all. 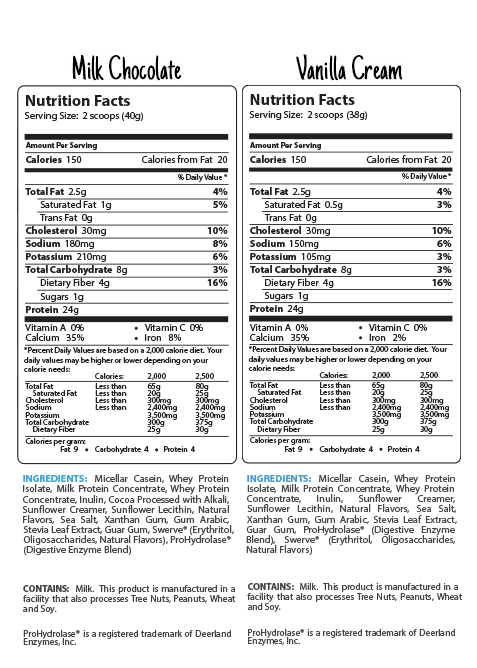 Only 1 gram of naturally-occurring sugar and 4 grams of fiber per serving. Cold-processed to protect the quality of each protein. Quality Guarantee. At BioTrust, we are committed to being the best. All of our products are manufactured in a GMP-certified facility and undergoes 3rd party lab-testing to ensure purity, potency and safety to guarantee your results. And did we mention it tastes incredible? Every time you mix up a Milk Chocolate or Vanilla Cream BioTrust Low Carb shake, it's just like enjoying a rich, creamy milkshake from the ice cream shop—only it comes in at just 150 calories while supporting your fitness goals and helping you stoke your fat-burning metabolism. Fact is, we've sold over 2 MILLION containers of BioTrust Low Carb, and we believe it's the BEST protein powder money can buy. We're confident that once you experience the incredible taste and results of this premium protein for yourself, you will be back for more. And today, we want to PROVE to you just how extraordinary BioTrust Low Carb is by giving you your first container FREE. "LOVE, LOVE, LOVE BioTrust. I honestly wasn't expecting that much. So many protein powders out there claim great taste, but you might as well mix the shipping box with water. BioTrust really does taste awesome! So much so that my 3-year-old son is helping me use it up. He loves his new 'chocolate milk' made with Milk Chocolate BioTrust!" "BioTrust Low Carb is a SUPER FOOD!! I can't say enough great things about this product. I alternate the Vanilla Cream and Milk Chocolate each morning–it's the BEST possible start to a day! I feel so much better and am never hungry before lunch. Another huge plus is I have converted my husband, and he feels exactly the same. Joel and Josh, you guys rock! :-)"
"I trust BioTrust. Not only are their products best-in-class (try the protein! ), they have granted over 150 wishes for kids through Make-a-Wish, and they have provided over 2 million nutritious meals to hungry kids. I stand proudly behind them." "This is by far the best protein powder I have ever used. The ingredients are of the highest quality, and the taste is fantastic. I drink mine first thing in the morning, and I'm ready for whatever the day throws at me. Hard to believe this great Milk Chocolate treat is so good for me!" "I went out on a limb and ordered 3 containers of BioTrust Low Carb, knowing full well I've had bad experiences (bloating and gas) with other similar products. I tried the Vanilla Cream flavor first, and it was the best-tasting protein I've ever tried—bar none. I used it twice a day for a little over a week, and along with a sensible, clean diet, I lost 6 pounds! Even my kids like it! Fantastic product!" "So, to be honest, I was skeptical; no matter what you put in them, protein shakes taste like chalk…but I was so pleasantly surprised with this product! In fact, the entire house now drinks it!" "BioTrust Low Carb is a SUPER FOOD!! I can't say enough great things about this product. I alternate the Vanilla Cream and Milk Chocolate each morning—it's the BEST possible start to a day! I feel so much better and am never hungry before lunch. Another huge plus is I have converted my husband, and he feels exactly the same. Joel and Josh, you guys rock! :-)"
"I lost over 50 pounds following a healthy diet and using BioTrust products including their Low Carb Protein. I recommend this protein to my patients, family and friends because it's made with natural ingredients and does not contain any of the artificial chemicals and hormones found in many brands. What's more, the taste is incredible. I give it 5-stars all the way around." Q: What is the best way to take this product? 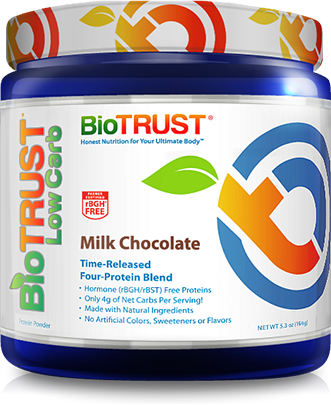 For breakfast, between meals (to crush cravings), before or after a workout (to speed recovery), or as a delicious and nutritious night-time snack, add two scoops of BioTrust Low Carb to 8 ounces of water (or milk) and mix or blend until smooth. For best results, add two ice cubes to cold liquid and drink within 10 minutes of preparation. You can also use BioTrust Low Carb in your favorite smoothie recipe, make a high-protein pudding, add it to yogurt, or use in your favorite baked goods recipes. Like every BioTrust product, BioTrust Low Carb is made with natural ingredients. It contains milk, and it is manufactured in a facility that also processes eggs, fish, tree nuts, peanuts, wheat, and soy. Independent laboratory testing ensures purity and potency. GMP quality assured. No sugar, artificial sweeteners, flavors, colors, or preservatives added. If you have any concerns, you should consult your physician before taking any supplement. Q: How long do I have to use this product before I see results? We expect you to feel noticeable results within the first week and more profound results with prolonged, continued use. Q: Should I keep taking this product after I achieve my fitness goals? While you don't need to take BioTrust Low Carb forever, your body will always require protein, and BioTrust Low Carb is an extremely high-quality protein blend, which can help you conveniently meet your needs. Q: How will this product be shipped to me and how quickly? We will ship your order directly to your home or office using a premium carrier, such as FedEx or UPS, and customers in the United States and Canada can expect their orders within 5 to 7 business days. International orders typically take 8 to 15 business days (plus customs clearance times). Rush shipping is available. Q: Is this really Free or will I be signed up for a monthly subscription and be charged for more product later? No. The free container is truly FREE (no monthly subscription, no future charges). Just pay shipping. We're hopeful that you will love it and come back for more! Yes. We use a 256-bit secure ordering server where 100% of your data is encrypted, safe, and secure. Our secure shopping cart is verified by numerous 3rd-party security verification systems, McAfee Secure, the leader in security scanning. So, you can rest assured that your information is 100% safe and secure at all times. Q: How long will this special free container offer last? We can't give away free containers forever, so this special offer can end without notice at any time. BioTrust, America's #1 online nutrition brand, was started in 2011 by Joel Marion and Josh Bezoni, two friends whose mission was to create a nutrition company that was authentic, honest, and always put quality and service first. BioTrust is one of the few companies in the industry to conduct university studies on its products along with having 3rd party labs test the products to ensure potency, purity, and safety. At BioTrust, quality also means service, and we take enormous pride in providing our customers with world-class customer service and a 5-star customer experience. BioTrust cares about our customers and our communities. For every free protein container we give away, we donate a nutritious meal to a hungry child through NoKidHungry.org. To date, BioTrust has provided over 2.5 million meals to hungry kids. Please help us hit our goal of 3 million meals this year. What's more, with the support of our customers we've granted over 160 wishes for kids with life-threatening medical conditions through its national partnership with Make-A-Wish®. Through its partnership with Pencils of Promise®, BioTrust has built two schools for underprivileged children, and with Water.org, we've provided clean drinking water for thousands in third-world countries. It's support from customers like you that allow us to give back. Thank you and blessings. *Offer valid for new Low Carb protein customer. One per household. save on our very best offer on BioTrust Low Carb protein.